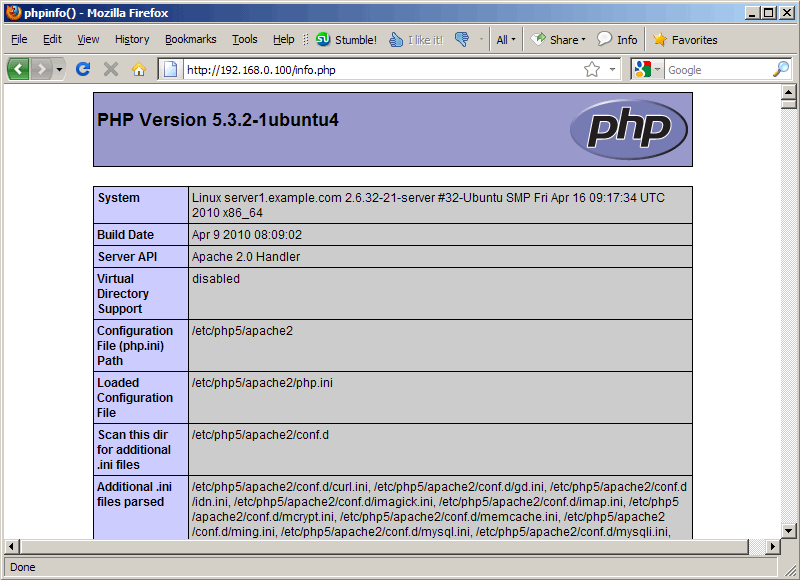 I'm assuming that you have a running Ubuntu 10.04 system with a working Apache2, e.g. as shown in this tutorial: The Perfect Server - Ubuntu Lucid Lynx (Ubuntu 10.04) [ISPConfig 2]. In addition to that I assume that you have one or more web sites set up within the /var/www directory (e.g. if you use ISPConfig). Let's assume we have a vhost with DocumentRoot /var/www. We must now open the vhost configuration of that vhost and change DocumentRoot /var/www to DocumentRoot /. Accordingly, DocumentRoot /var/www/web1/web would now translate to DocumentRoot /web1/web, and so on. If you want to use this method, you must change the DocumentRoot for every single vhost. NOTE: apache-2.2.10 and higher has built in chroot handling and the mod_chroot module should not be used. ...And yet another guide that does not work. The server gives a denied error.